13 ORE CD QUALITY 44.1kHz / 16-bit. FUNZIONA SEMPRE COME CAVO JACK PER STRUMENTO, ANCHE SENZA LE BATTERIE DEL REGISTRATORE. E' NECESSARIO IL COMPUTER, O LETTORE SD CARD, PER L'ASCOLTARE LE TRACCIE REGISTRATE. REGISTRA IN MODO AUTOMATICO ( SOLAMENTE QUANDO SI SUONA) O IN MODO CONTINUO. REGISTRA ANCHE IL SUONO CON EFFETTI, DALLA LINE OUT O DA ALTRE USCITE AUDIO. A STUDIO QUALITY RECORDER / PREAMP FOR THE PRICE OF AN OUTSTANDING CABLE. The cable’s built-in, super-compact recorder (designed by TASCAM, the undisputed leader in portable recording) saves up to 13 hours of your playing to commonly available, inexpensive Micro SD cards. And with CD-quality 44.1kHz/16-bit resolution, the audio quality is ideal for transferring over to computer-based, multitrack recording programs. 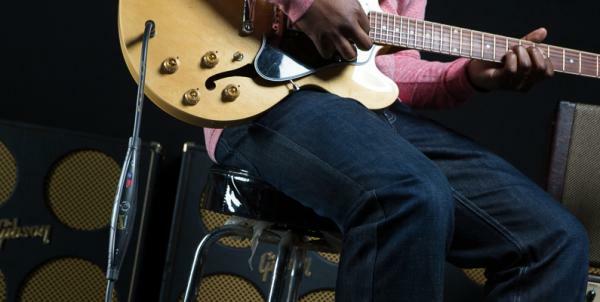 Memory Cable™ doesn’t have to be plugged into an amp—just plug into a guitar, bass, or keyboard, and start recording. Memory Cable uses premium cable for pristine sound, and doesn’t even need power to work as a conventional cable. Plug into the output of your PA mixer to record your rehearsals. Patch your guitar to a computer’s audio interface through the Memory Cable™—if you forget to record-enable a track, think an earlier take was better, or the computer crashes, your performance will still be safely tucked away in the Memory Cable™. Record your playing for later analysis. Compared to standard re-amping solutions that often involve multiple cables, boxes, and signal splitting, the Memory Cable approach is simple and effective. A SMART CABLEPOWERED BY TASCAM NEVER LOSE A CREATIVE MOMENT AGAIN. with the inspiration insurance that only Memory Cable™ can provide. IT HAPPENS ALL THE TIME You’re playing guitar, and come up with an amazing song idea. Then it’s gone. And you can’t get it back. But Memory Cable™—a premium-quality instrument cable for guitar or keyboards—can capture your inspiration so you’ll never lose a brilliant creative moment again. Inspiration is volatile. Remember those songs you lost when you couldn’t record an idea in time, the great riff that came and went, or the computer crash that trashed a fantastic solo? The Memory Cable™ would have remembered—it’s your personal backup service that runs constantly in the background. This premium, 16-foot cable has a built-in, solid-state recorder designed by TASCAM’s engineers. Plug the cable into your guitar, press a button, and the cable records everything you play. It’s that simple. If you play something you really like, press a button to close the existing file and start recording a new one. That way you’ll always know your best inspirations are at the file’s end. Total recording time is over 13 continuous hours with the included 4GB microSD card, but a second mode can record only while you’re playing. The uncompressed, WAV-format files feature 44.1kHz, 16-bit resolution; thanks to the studio-quality A/D converters, if you record a “keeper” you can bring the file into any recording software, then build the song from there. Although the Memory Cable™ doesn’t play back by itself, transferring files to a computer is easy. Most card readers can read a microSD card, and the Memory Cable™ includes a microSD-to-SD adapter (most computers have SD card slots). Many smartphones can also read a microSD card, as well as transfer the card data over USB. Battery life is 8 hours from a rechargeable or standard AA battery, but there’s also a small battery that, while not necessary for operation, lasts for a year and powers an internal clock to time-stamp your files. What’s best about the Memory Cable™ is that you’ll always have it at your fingertips—you need to use a cable anyway. You don’t have to grab a box, find another patch cable, hook it up, and navigate an operating system—plug in, turn on, done. The Memory Cable™ also works with keyboards, bass, electronic drums—even a mixer bus output to record a rehearsal session. And it’s ideal for re-amping, which we’ll cover in a future article. Most importantly, the first time you don’t lose some great inspiration you’ll truly appreciate the Memory Cable™’s “inspiration insurance.” I certainly do: my next YouTube video is built around a riff that the Memory Cable™ remembered when I was testing it! Perception is a funny thing. If you’ve ever listened to your voice on a recording, or caught your reflection in a mirror and didn’t recognize yourself for a second, you know what I’m talking about. Sometimes we have a way of perceiving things the way we want them to be, rather than the way they are. There are times when this can be a good thing: I know that if I feel like I’m looking sharp I’m probably going to leave the house feeling more confident than if I’m wearing my ‘everything else is in the wash’ outfit, even if I forget that my version of ‘Sunday best’ is ripped jeans and a Van Halen shirt (but it’s a really nice Van Halen shirt, right?). But there are times when it can be a bad thing. Like if you’re around someone who’s had a few too many drinks and they’ve lost the ability to regulate their volume so they’re shouting at the top of their lungs when they think they’re speaking at a normal level. Guitar playing is a lot like that. If you feel like you’re having a ‘Good Tone Day’ you’ll play more boldly and more confidently, like nothing you could play could possibly be wrong. But sometimes what we’re hearing in our head isn’t what we’re putting out there. Sometimes we may think we’re speaking in an authoritative Darth Vader voice when we really sound like Moe the bartender. And sometimes we may think we’re playing with all the rhythmic precision of a James Heftield when really we’re flailing about with the abandon of an [insert least-favorite guitar player here]. That’s why it’s so important to record your playing and listen back to it with a critical ear. This helps you to spotlight and refine all sorts of issues with your playing. 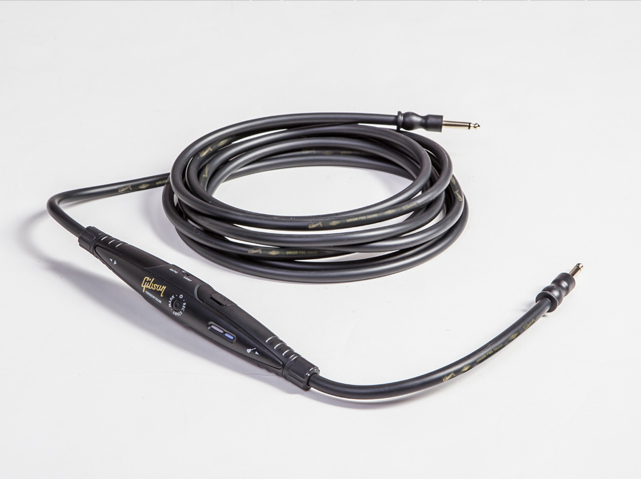 And that’s what makes Gibson’s new Memory Cable™ so useful: in addition to being a premium cable, it’s an ideal tool for songwriters as well as those just wanting to refine their technique. So with that in mind, here are some ways that the Memory Cable™ can improve not only your guitar playing but your entire musical expression. When you’re in the zone it can be difficult to discern whether you’re playing at a steady tempo or not. We all have the tendency to speed up when we’re excited. Sometimes this can even add a sense of excitement and energy to a piece - if the whole band is doing it at the same time. But unrequested tempo adjustments can kill the vibe of any gig. When you remove yourself from the passion of performance and listen back to what you’ve just played, you can pinpoint any little issues with the way you’re handling the tempo and the even-ness of your attack. Here’s another one of those things that can escape you if you’re rocking out too hard: the tendency to either accidentally nudge a note out of tune by applying too much finger pressure during normal fretting, or to push it out of tune when attempting to bend a string. Again, sometimes an over-bent string can be a cool thing - there’s a particularly great one in Jimmy Page’s “Whole Lotta Love” solo - but in most cases a little reckless abandon is best employed as a deviation from the main program in the form of a cool little moment here or there, rather than playing an entire set of imprecise, over-reached notes. When you listen back to your playing it’s a lot easier to identify problem areas, particularly if you’re bending just one string of a particular chord slightly out of tune. Once you’ve identified the issue you can work on it until the ‘right’ way becomes habit. Tone doesn’t necessarily mean just the settings on our amp. It can also refer to what your fingers are squeezing out of your guitar. Ever notice how some players are able to coax almost wah-wah-like sounds out of their guitars even when they’re not using a pedal? Steve Vai is a great example. There’s a certain technique you can use where you sort of push the string into the fret a little harder than usual to achieve a sharper tone. Fret very softly and you’ll get a softer, warmer tone. When you record your playing you’ll be able to more clearly zero in on these moments so you can develop more control over them. Perhaps the greatest reason to record your playing is so you can capture those magical little moments that would otherwise be lost forever, be they melodies, licks, songwriting ideas or one-off impossible-to-replicate spontaneous flukes. And with the Memory Cable™’s Reamping ability you can come up with an idea while jamming, then transfer the file into your recording program to re-amp physically or digitally.